The UHE battery series is the ideal solution when a really high energy density battery is required. The battery module uses battery cells with an energy density of 270 Wh/kg. The integrated battery management system brings the highest standard in safety and gives insight in the status of the battery. Flexibility in system configuration is created by a modular design. On a system level a voltage range of 25.2 V up to 465 V and a capacity range of 5.5 kWh up to 800 kWh can be created with the 25.2 V modules. The HE batteries are available in a high voltage version (HV). This makes it possible to connect these batteries in series up to 16 modules (465 VDC). This configuration can be used in UPS systems, propulsion applications and solar energy storage. 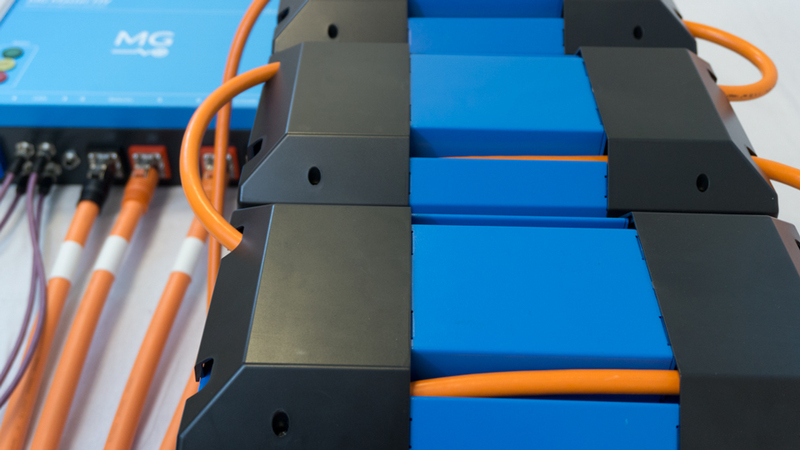 Each battery module comes with an integrated battery management system (BMS). This is an intelligent electronic module (slave BMS), that measures all cell voltages and temperatures to control balancing on both battery cell and module level. 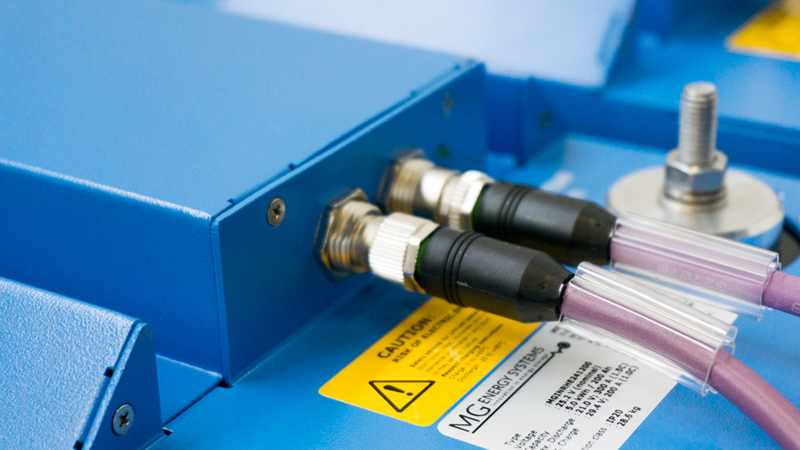 The battery modules communicate by a galvanic isolated CAN-Bus with the MG Master LV or HV (master BMS), which collects and monitors the status of all battery modules. 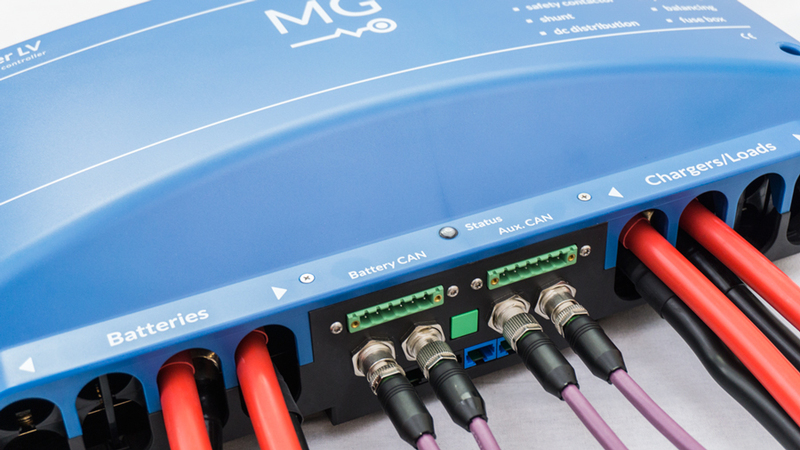 If the measured values from a battery module exceed the limit, the MG Master will automatically take action to protect the connected battery modules.